Our cycling holidays are designed to be taken at a pace which suits you. Obviously if you do a bit of cycling in advance, then it helps. Ideally you should be used to exercising for 20/30 minutes each day. But no need to worry, many of our customers will not be regular cyclists and if you need a rest at some point, you can always stop, and perhaps use public transport or on some of our guided trips the support vehicle. Most of the trips we offer are self-guided, can start any day of the week and run over a period of several months. Unless stated, your tour will be individual to your start dates. Other customers might be travelling on the route too. On a group holiday, there could be 4 or 5 up to 20. Much depends upon the nature of the route. But do not worry, our guides are there to make sure everyone feels part of the group and has a great time. Please note on some tours you will be in groups with customers that have not booked through Whereabouts and who may not be from the UK, your guide will always be an English speaker though. What’s included in my Whereabouts Holidays cycling holiday? Generally we include the stated number of nights’ accommodation on whatever board basis, as specified on the trip. This could be bed and breakfast or half board, which would normally be breakfast and evening dinner. You will need to pay for any extras at the hotel, for example, any drinks with your meals. We do not include transfers from the arriving airport and back to the departure airport, unless otherwise stated. The services of our local experts and helpful guides are included, along with a hire bike for you. Your holiday is also covered by the financial protection arrangements offered by ABTA. The majority of the holidays have bike hire included in the cost and we would prefer you not to bring your bike as all of the locally sourced bikes are of excellent quality from leading brands. If you are used to riding your own bike, then you are welcome to do so. But no need to worry, we have bikes available for you. Quality brand bikes are ideally suited for the terrain you may encounter, on some routes these will be hybrid bikes and others will be mountain bikes. We include details of what type of bike is included in the ‘Bike Rental’ tab of each product. When you arrive, we will ensure the bike is perfectly set up for you to ensure a comfortable riding position. Your bike will be kept in perfect working order and on-call support is needed if required. We hope your tour is warm and dry, but there is the chance it may rain, so bringing some waterproofs which you can store in your panniers or on guided tours can be taken in the support vehicle for you. You will stay in hotels, country hotels, boarding houses and huts offering warm hospitality and understand the requirements of people on cycling holidays such as bike storage! In smaller towns, it may not be possible to offer 3 to 4* accommodation. However, rooms with shower or tub bath and toilet are standard. In remote locations we may use mountain huts which will have shared facilities and on some holidays camping, with no facilities! Visas are not required for British passport holders to enter the majority of countries we operate in. Please check the latest Foreign Travel Advice section on the Foreign Office’s website www.fco.gov.uk. For customers holding passports from other countries, we recommend that you check with your own authorities as regards entry requirements for your chosen country of destination. The temperature can fluctuate, particularly in mountain areas and conditions can change quickly. You should always have something dry and warm with you regardless of the season. It is advised that you carry a lunchbox or drink with you as you may be in areas that are not close to shops. You will receive one set of travel information for your hiking trip per room. You will find arrival information and general information (leaflets, information on attractions, timetables, etc.) and an accommodation list. Route maps, route descriptions will be included as part of your pack and you will not receive these until arrival. We want you to be able to walk in complete comfort, so we arrange the transportation of your luggage from one hotel to the next. 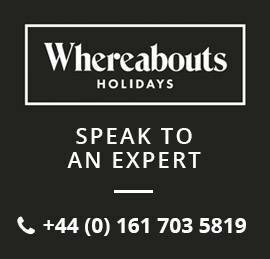 The only thing we ask is that you leave your suitcases in reception on setting out each morning, and the hoteliers will ensure that it is waiting for you at your next hotel. All you need carry with you are drinks, a camera, waterproofs, sun cream and your Passport if crossing borders.